Home ⁄ Archive by Category "Articles"
Emu Oil is a complex and primitive oil that is non-toxic, anti-bacterial and anti-microbial. Aloe Vera’s triple action of pain relief and antiseptic and healing qualities makes it suitable for even serious burns and scalds. L. scoparium (Manuka) is a shrub or small tree that grows abundantly throughout New Zealand. 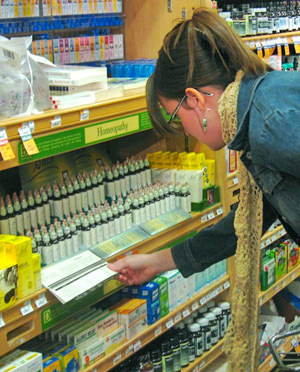 Homeopathy is a medical system whereby an ill person or animal is treated with a remedy that would produce the symptoms of that illness in a healthy person. Flower essences have been a part of healing from ancient times. Lavender essential oil’s unique floral-herbaceous aroma and relatively safe and gentle aromatherapeutic action make it one of the most important aromatherapy essential oils. Crystals, gemstones, and minerals can be cleared by several easy methods. Using crystals for healing pets and animals can produce quick results, writes Karen Ryan.